Dr. Mahesh Sharma, the Minister of State (I/C) for Tourism & Culture and Minister of State for Civil Aviation launched the “24x7 Toll Free Tourist Infoline in 12 International Languages including Hindi and English” available on the existing Toll Free Number 1800111363 or on a short code 1363 at a function here today. This project is being implemented by the Ministry of Tourism, Government of India through M/s. TATA BSS who have been associated with the work after open bidding process. The languages handled by the contact centers include ten International languages besides English and Hindi, namely, Arabic, French, German, Italian, Japanese, Korean, Chinese, Portuguese, Russian and Spanish. A “Live Demo” of this Multilingual Infoline Service in Japanese, Chinese, Russian and Italian languages was also presented on the occasion. The Minister also announced that very soon his Ministry will launch an“Incredible India Mobile App.” to facilitate tourists in a better way. Addressing on the occasion, the Minister said that the launching of this Multilingual Infoline has marked the fulfillment of the promise made to the people by the present Government for according priority for safety and security of tourists. This Infoline service will provide information relating to Travel & Tourism in India to the domestic and International tourists/visitors and to assist the callers with advice on action to be taken during times of distress while travelling in India and if need be alert the concerned authorities. He said that now Tourists travelling in or planning to travel to India can seek help and information for a hassle free experience. He said that the calls made by tourists (both international and domestic) while in India will be free of charge. The international tourists in India and also international callers who speak the aforesaid languages will be directed to the call agents proficient in the respective language. 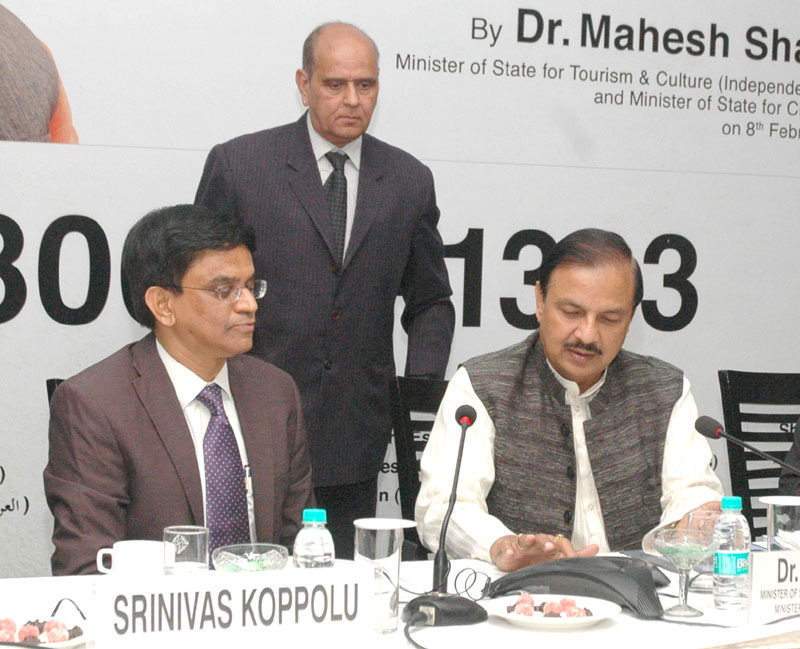 Shri Vinod Zutshi, Secretary, M/o Tourism in his address said that the focus will be on IEC i.e. Information, Education and Communication for the Tourists followed by a Helpdesk and then safety and security of the Tourists. The website of Incredible India is also being revived to make it more Tourist friendly. Ministry of Tourism in order to provide information services to the incoming tourists & domestic tourists has setup this Tourist info line. This service will primarily serve those who know very little about India or about travel within India, and those who do not understand Indian systems and often not even English.